Skin Balancing Invisible Finish Moisture Gel feels weightless yet leaves skin hydrated and smooth. 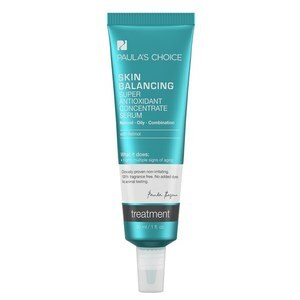 The gel-like formula is infused with plentiful antioxidants, the cell-communicating ingredient Niacinamide, anti-irritants and critical skin-identical ingredients. Many people with oily skin who shy away from moisturizer have found that Skin Balancing Invisible Finish Moisture Gel solves this dilemma by supplying key ingredients all skin types need to look and feel healthy and younger. Absorbs quickly and has a soft matte finish. Apply after cleansing, toning, and exfoliating. Ideal for treating face, neck, and eye area. 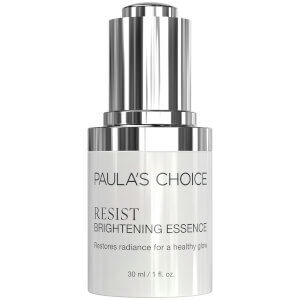 For daytime, follow with a product rated SPF 15 or greater. Water, Cyclopentasiloxane, Butylene Glycol, Glycerin, Laminaria Saccharina (Seaweed) Extract, Camellia Oleifera (Green Tea) Leaf Extract, Vitis Vinifera (Grape) Seed Extract, Triticum Vulgare (Wheat) Germ Oil, Tocopheryl Acetate, Niacinamide, Phenyl Trimethicone, Dimethicone, Bis-Phenylpropyl Dimethicone, Dipotassium Glycyrrhizate, Tetrahexyldecyl Ascorbate, Sodium Hyaluronate, Phospholipids, Superoxide Dismutase, Isohexadecane, Panthenol, Propylene Glycol, Sodium Carbomer, Sodium Acrylate/Acryloyldimethyl Taurate Copolymer, Dimethicone/Vinyl Dimethicone Crosspolymer, Polysorbate 80, Hydroxyethylcellulose, Diazolidinyl Urea, Methylparaben, Propylparaben. Nice moisterizer..doesnt clog pores helps clear skin. My skin is dry and sensitive. It is supposed to be for oily skins but it works on me as well. Absorbs very well and hydrates. Haven't seen much work done to the fine lines though.